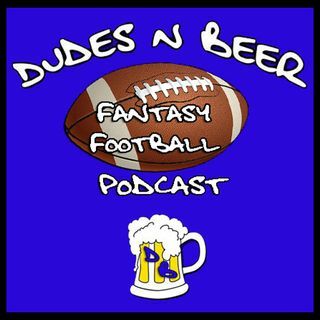 Join hosts Matt McPeek and Adam Nattrass as they preview week 1 of the NFL in this episode of the Dudes and Beer Fantasy Football Podcast. All sixteen games are discussed with a focus on matchups for each individual position groups. Using fantasy points allowed in 2017, the guys point out the best and worst matchups for each game. Also some possible week 1 replacements for Jerick McKinnon are highlighted. All this and more in this exciting episode of the Dudes n Beer fantasy football podcast! ... Más informaciones Download the FREE Dudes n Beer Podcast app for Android and iDevices or visit our LISTEN LIVE page and join the conversation.